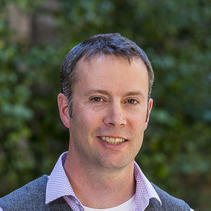 Dr. John Clark serves San Diego Zoo Global as Director of Plant Collections and Strategy. In this role, he provides strategic direction for the plant collections at the San Diego Zoo and Safari Park, as well as overseeing our Native Plant Seed Bank and field projects focused on Tecate cypress, Micronesian cycads, and aguaje palms. His team is part of a long-standing effort to restore coastal sage scrub habitat for the coastal cactus wren. John serves a dual role as President and Chief Executive Officer of the Center for Plant Conservation (CPC). The CPC is an independent, nonprofit association of 40 botanical gardens, arboreta, and other similar organizations that actively work to conserve imperiled native plants. Formerly based at the Missouri Botanical Garden, John and CPC chairman of the board Dr. Peter Raven successfully led an initiative to relocate the CPC's national headquarters from St. Louis to the San Diego Zoo Institute for Conservation Research in Escondido, California. Here, John continues to lead the CPC's national efforts to save endangered plants through scientific research, applied conservation, and technology innovation. John earned his bachelor’s and master’s degrees at the University of Cincinnati and his doctorate degree at Washington State University, Pullman. His dissertation research focused on the relationships and biogeography of the Pacific genus Cyrtandra, members of the plant family Gesneriaceae, the African violet family. While John’s training and background is in basic research, his particular passion is for developing strong collaborations and bringing together world experts in a variety of disciplines to achieve measurable conservation outcomes.